Chef Wan is back in the Singapore food & beverage scene with the opening of Chef Wan's Kitchen at Esplanade Mall. This is his first ever a la carte concept restaurant whereby he will be offering dishes from recipes that has been passed down by his grandmother as well as dishes that he has cooked for royalties, sultans and celebrities across the world. 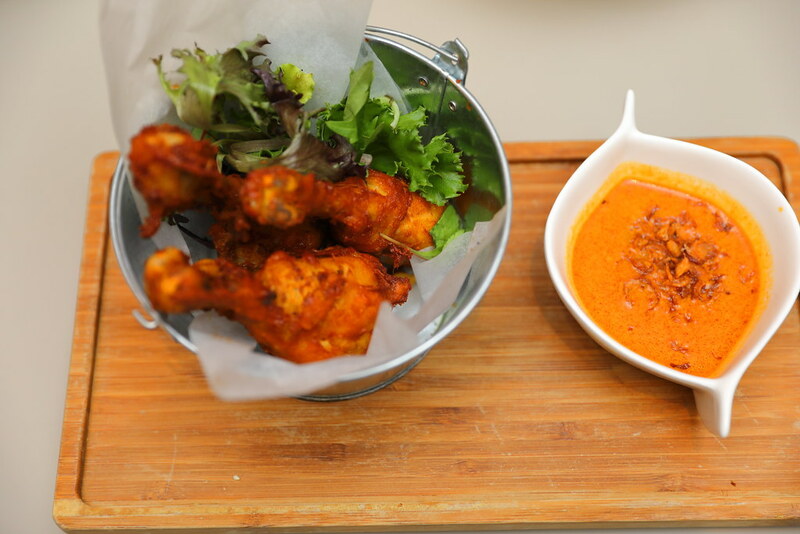 The first dish I went straight for is the Ayam Gorent Java ($18.90). Chef Wan's interpretation of the Javanese Fried Chicken. The drumstick was huge and juicy. I think I would enjoy more if it is served hot for the crispy texture and flavours of the spices rub to be more prominent. 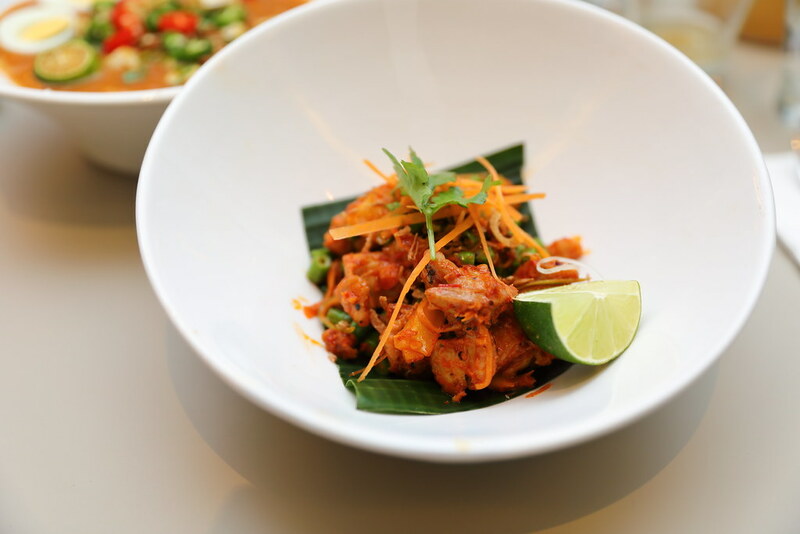 The Lawar Salad ($17.90) is a traditional Balinese dish made up of vegetables and chicken. I probably would not called it a salad as I could find more chicken pieces than long beans. I like the addition of jackfruit, giving the salad an extra fruity sweet dimension. A favourite dish of the Brunei Sultan is the Chef Wan's Oxtail Soup ($17.90). I guess I am privilege to be able to have the dish which Chef Wan has cooked for the Brunei Sultan. Now I can feast like a king too. The oxtail was very fork tender and I enjoyed that lay of fats, giving it that gelatinous goodness. The recipe for the Prawn Curry with Pineapple ($21.90) comes from Chef Wan's grandmother. 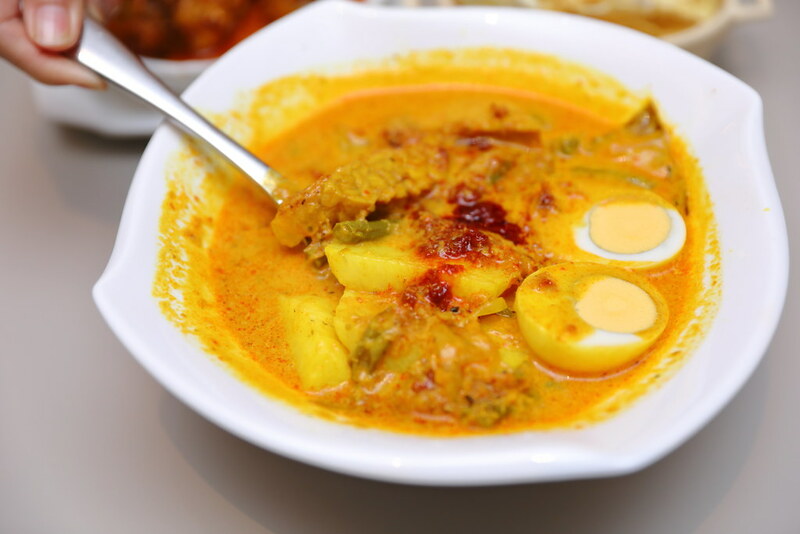 A Malaysian-style curry with the addition of pineapple for a hint of sourness. It is not spicy at all, in fact it's actually a sweet curry which is a family friendly dish. 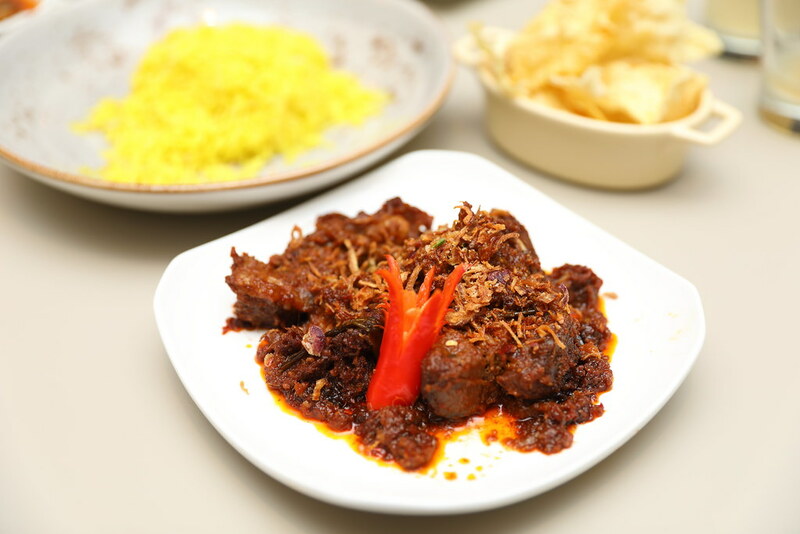 Chef Wan's Selangor Beef Rendang ($22.90) is one of my favourite dishes. The rempah was complex, robust and aromatic. Made into a gravy and cooked together with the beef, it enhanced and boasted the whole enjoyment of the melted in the mouth beef. 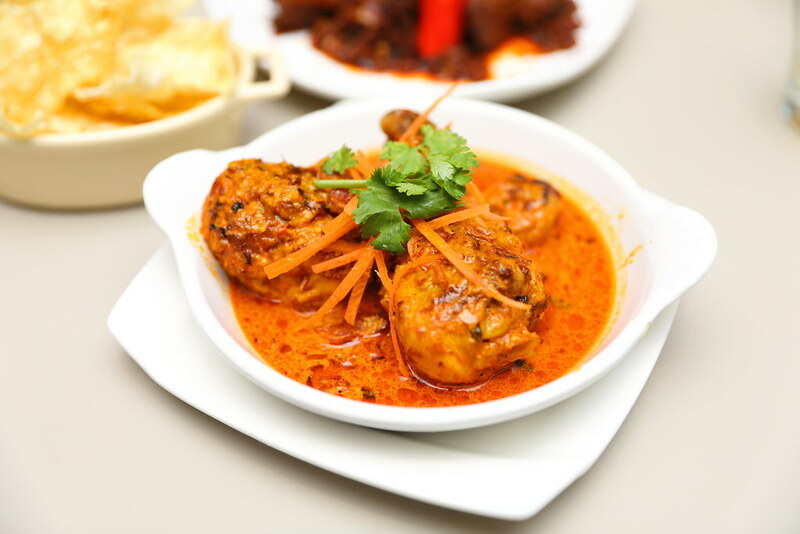 Among the various curry and chicken dishes on the menu which I have tried so far, I will go for the Ayam Precik ($18.90) which is cooked in a spicy gravy. Guess I still prefer spicy curry to sweet curry. The grilled chicken was also tender and well infused with the gravy. It calls for a plate of rice to go with the delicious curry. 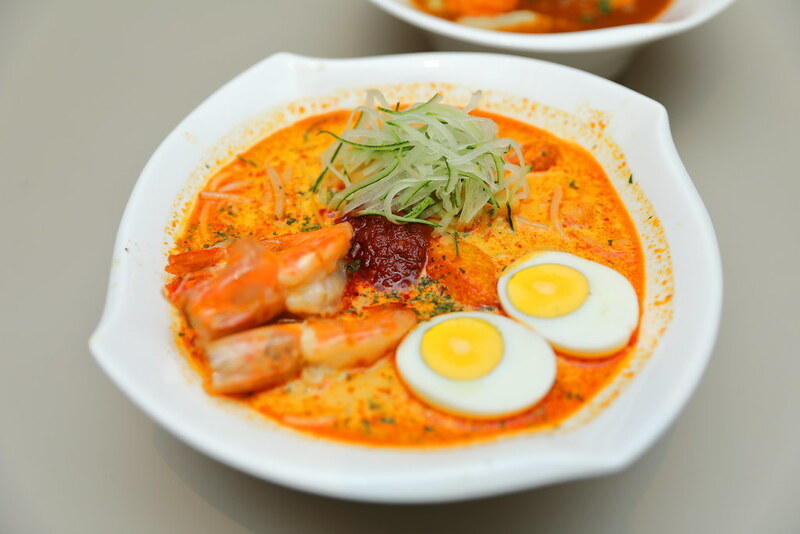 Chef Wan's version of laksa does not use dried shrimp. 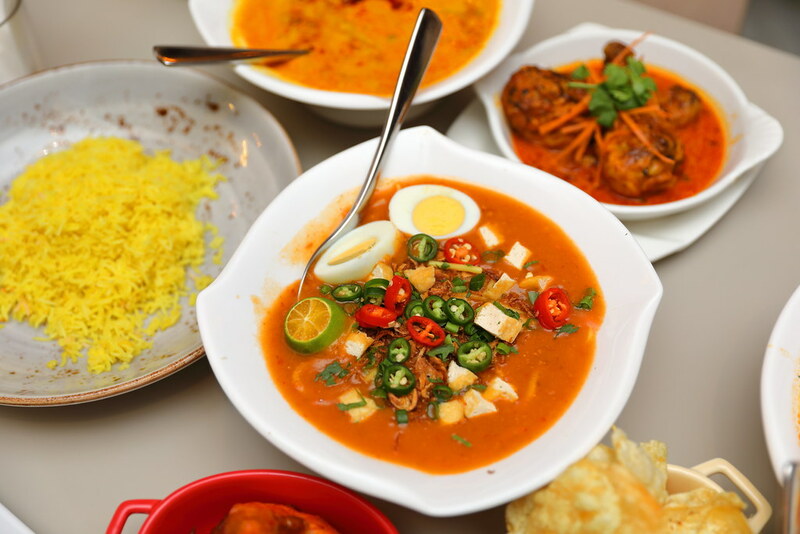 The Bibik Neo's Laksa ($15.90) is adopted from his grandmother recipe which she used to cook on special occasion. 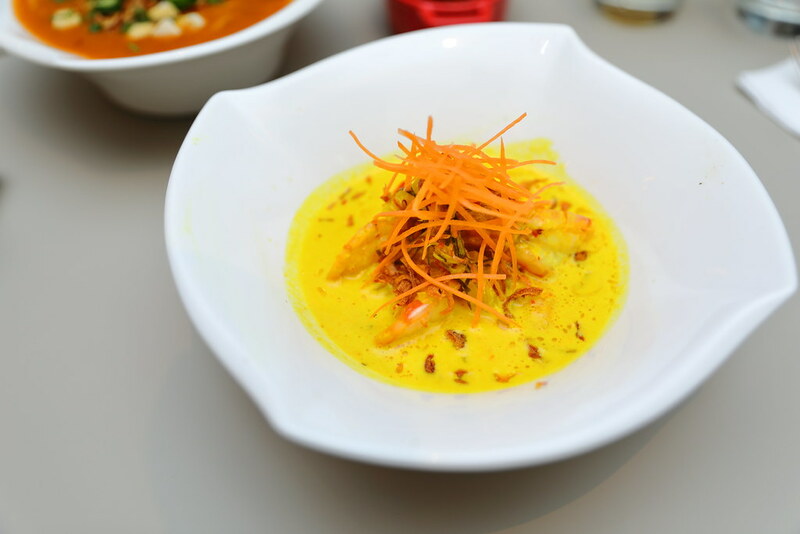 It is made using an unique blend of spices, grinded fresh prawns and coocnut milk. While the laksa gravy is creamy and 'lemak', I felt that it is kind of flat, lacking the usual boost in flavour from the dried shrimps. Chef Wan's mum used to make a living selling mee rebus for 31 years to support the family. The Cik Aini's Mee Rebus with Prawn Fritters ($15.90) is way for Chef Wan to pay tribute to his mother. This rendition of his mother's recipe also earned praises from the royal family of Brunei. 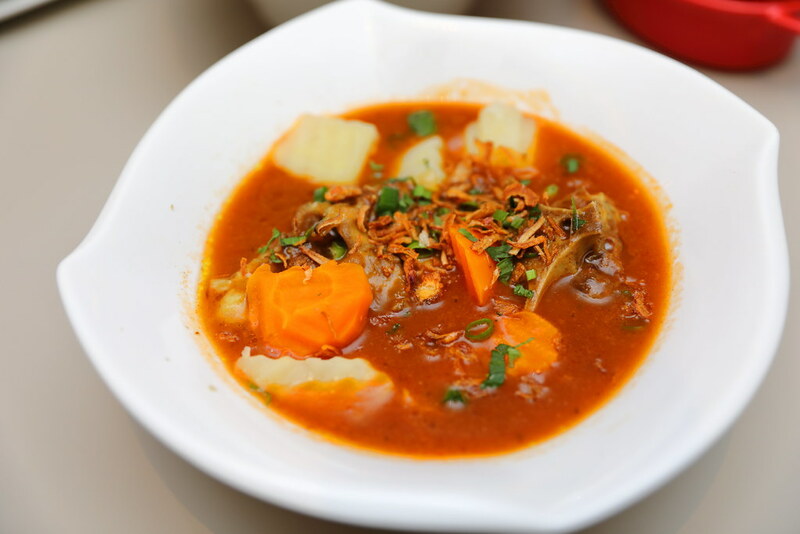 Last but not least, not to be missed is the Longtong Sayur Lodeh ($13.90). I was telling my dining companions that I would gladly use the gravy for the laksa. This gravy uses dried shrimp hence it is more fragrant and familiar to our local palate for laksa. Overall I have enjoyed he food at the newly opened Chef Wan's Kitchen. I think Chef Wan has embarked on the right track doing what he is good at. While the food is good, the price point is on the high side. 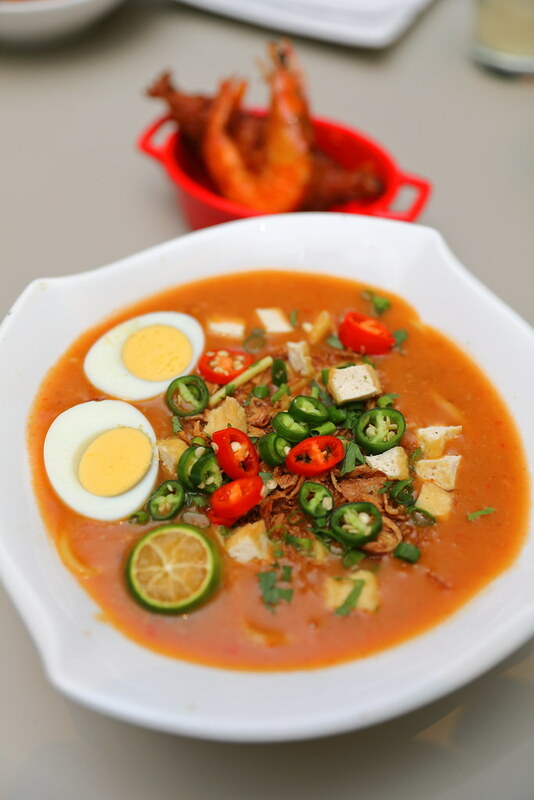 Frankly speaking will customer pay more than $13 for a bowl of longtong, mee rebus or laksa?